Home / Manic Mondays! • Pretty In Pinky / Manic Monday! Pinky Finds The Ark Of The Covenant After A Random Encounter With Karen Allen! Selfie Coolness! It’s Manic Monday, and let me tell you, this Monday is manic! 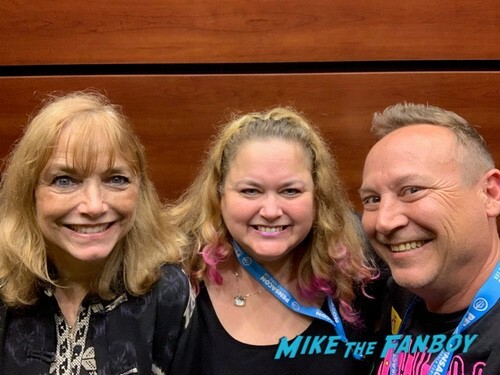 Pinky had a wonderful chance encounter with Karen Allen and it was adorable! Hello, my lovelies. Pinky Lovejoy-Coogan here on a beautiful spring day. How’s everyone doing? There are very few things I enjoy more in life than random celebrity encounters which happen when you least expect it. 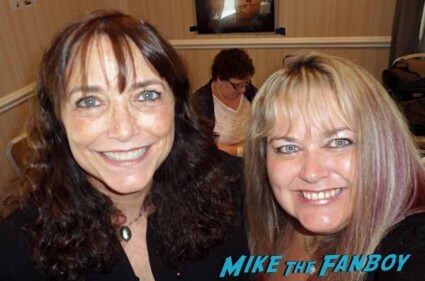 Years ago, I wrote about meeting the lovely Karen Allen at the Chiller Theater convention back in 2013. If you’d like to catch up on that, you can find the link here! As excited as I was about that then, I was a bit bummed to have gotten the picture all by myself since it’s my hubby who’s the HUGE Raiders of the Lost Ark fan. Back when I first met her, we hadn’t quite perfected being able to be at a show and meeting the fellow guests together, which is why I’d gone alone while he manned the table. Recently, however, we were at Pensacon in Florida and randomly rode an elevator with Karen Allen! She was so sweet! Normally we’d probably see her at the show, but at Pensacon the celebs were split up at two different sides of the convention center and we hardly saw many at all. Thankfully we had our brief elevator ride and were able to grab a quick pic. Hooray! So stoked! For additional pink fodder, please visit www.pinkylovejoy.com or follow me on Instagram @pinkylovejoycoogan and on Twitter @pinkylovejoy. As always, have a pink day! Pretty In Pinky! The Wayne’s World Reunion! Schwing! It’s Been 20 Years! Wha! With Dana Carvey! Mike Myers! Rob Lowe! Lorne Michaels! And More! Manic Monday! Judge Reinhold Redemption! 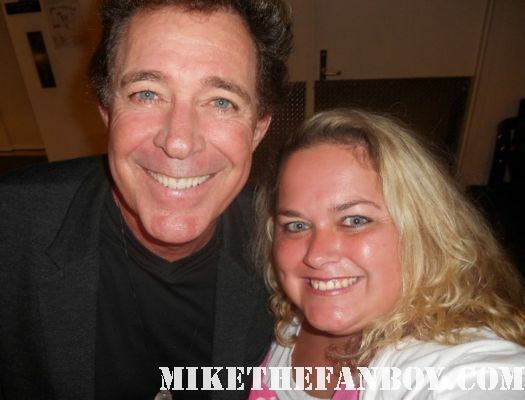 Pinky Gets Her Photo With The Beverly Hills Cop Star After A Horrible First Meeting! Photo Flops! 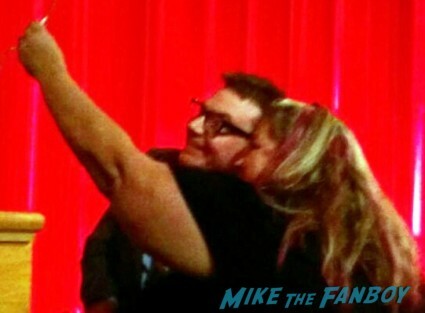 Pinky Meets Buffy The Vampire Slayer Star David Boreanaz But Her Photo….